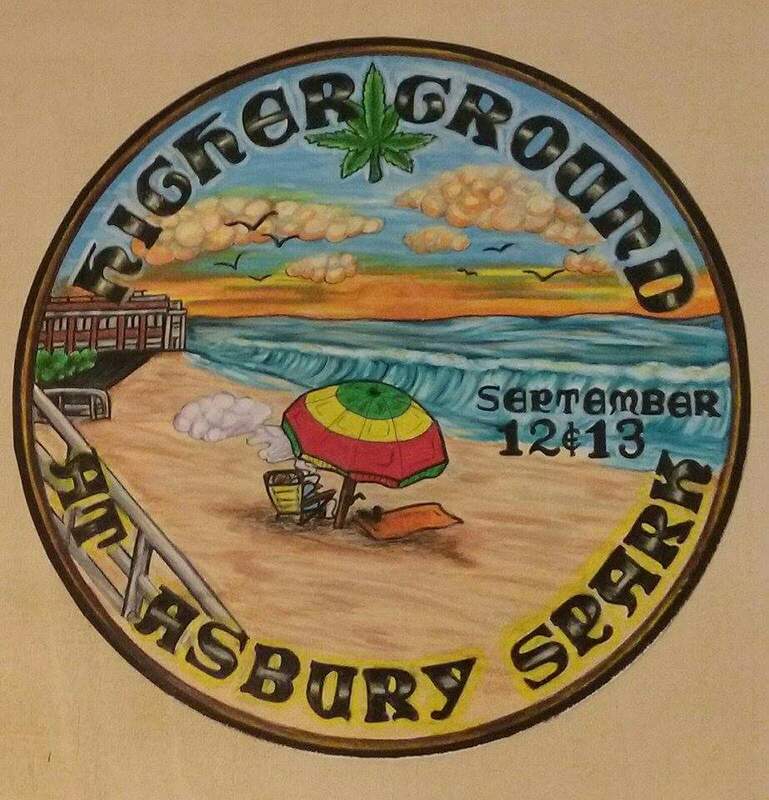 Asbury Park, NJ – A special weekend-long cannabis-themed event will be taking place at various venues throughout the city of Asbury Park September 11–13. Called Higher Ground because of its emphasis on empowering cannabis consumers through education and connectivity, the event includes a series of informative talks and social gatherings. It is free to attend and is endorsed by the Coalition for Medical Marijuana New Jersey (CMMNJ). Higher Ground was created in part as a reaction to city officials’ admirable declaration of support for cannabis and their passage of a resolution calling on Governor Christie and the State Legislature to legalize, tax, and regulate it. After a welcome gathering on Friday night, Saturday’s events will kick off at noon and include a walkable circuit around Cookman Avenue of venues where speakers will be giving talks throughout the day on topics pertaining to medical marijuana and the future of cannabis culture in New Jersey. Saturday night will feature a special networking event as well as hand-picked musical performances. Speakers will continue through 4 p.m. on Sunday the 13th. Higher Ground is an independent initiative uniting local businesses with speakers and artists. The purpose of the event is “empowerment through education”—enabling all comers to obtain accurate information about cannabis and the changing legal landscape in New Jersey and across the country. Featured speakers include CMMNJ Executive Director Ken Wolski, activist and Liberty Bell Temple III proprietor Ed Forchion (aka NJWeedman), Geno Caignon of NJ NORML’s South Jersey division, Rowyn Capers from NJ NORML’s Women’s Alliance, and Help Not Handcuffs founder Randy Thompson, who delivered the presentation to the Asbury Park City Council that resulted in their declaration of support for cannabis law reform. The event is free and open to the public. For those who wish to stay in town overnight there is a range of hotels to suit most every budget, and prices are generally lower after Labor Day weekend. Those who wish to participate can visit www.HigherGroundFest.com for updates and location announcements as well as the event’s Facebook page, https://www.facebook.com/events/432809406907049.